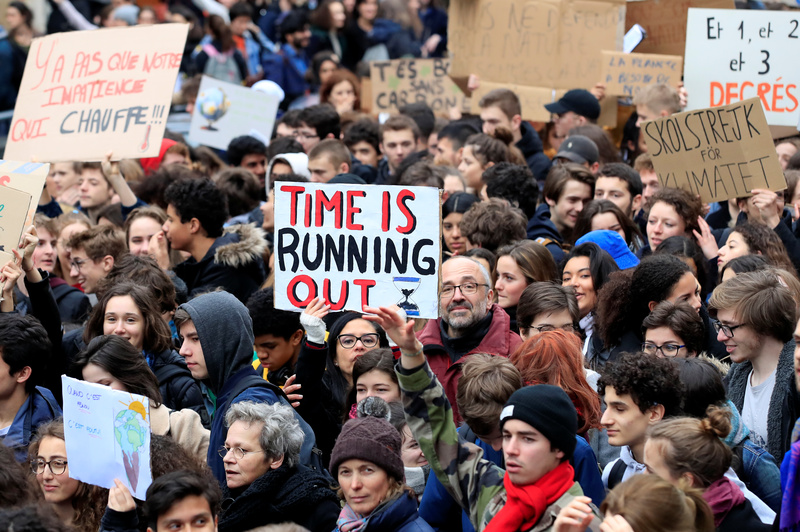 The kids say “inaction has left us with just 11 years to change the trajectory of the worst effects of climate change.” That deadline is based on the misleading media hype surrounding a U.N. report released in October. California Rep. Ro Khanna said lawmakers should listen to the teenagers and children striking. Khanna, a supporter of the Green New Deal resolution, called on Congress to immediately address global warming. “If we don’t act, they will have to deal with the fallout from climate disaster,” the Democrat tweeted. Former Secretary of State Hillary Clinton also extolled Coleman and the other leaders of the “You Climate Strike” movement in the U.S., which includes Isra Hirsi, Minnesota Rep. Ilhan Omar’s 16-year-old daughter. Omar, a Democrat, will march with climate strikers in Washington, D.C., Friday. Omar is also a Green New Deal supporter. However, Democratic leadership and party moderates have tried to distance themselves from the Green New Deal, which calls for a massive expansion of government control over the economy. Republicans, on the other hand, want the resolution debated publicly and are confident it can be used against Democrats in the 2020 elections. Some Republicans have called the Green New Deal a grab bag of “socialist” policy demands.